“Right to education act” became a law from 1st April 2010. Prime Minister Manmohan Singh said in his speech, “I am what I am today because of education. I want every Indian child, girl and boy, to be so touched by the light of education.” Dr. Singh began his speech by saying, “About a hundred years ago a great son of India, Gopal Krishna Gokhale, urged the Imperial Legislative Assembly to confer on the Indian people the Right to Education.” Who was this Gokhale? And what did he propose with respect to the right to education? Let’s take a look briefly in this article. Gopal Krishna Gokhale was born on May 9, 1866 at a village called Kotluk in Ratnagiri district of the old Bombay Presidency. Gopal’s father died when he was 13. His elder brother Govind who was 18 years old gave up education to support the family. Out of his monthly salary of Rs.15 Govind sent Rs. 8 to Gopal who was studying at Kolhapur. Out of Rs. 8, Gopal spent Rs. 4 for food in an eating house and the rest was spent on fees, books and clothes. Govind and his wife insisted that Gopal studies beyond matriculation and Govind’s wife parted with part of her jewelry to support Gopal’s college education. Gopal finished his B.A. in 1884 at the age of 18. After graduating, Gokhale joined New English School, Poona on a salary of Rs. 35 a month and he spent the next fifteen years at this institution more popularly known as Deccan Education Society. “That this council recommends that a beginning should be made in the direction of making elementary education free and compulsory through the country… The government should follow the footsteps of other civilized countries and discharge its duties of making the people literate”. He traced the history of leading countries of the world and asked the Government to follow Japanese example. In the course of twenty five years, the proportion of population going to primary schools had advanced only to 1.9 percent from 1.2 percent. Expenditure on primary education from the public funds had increased by Rs.57 Lakhs to Rs. 93 Lakhs. Land revenue in the same period had gone up by Rs. 9 Crores and military expenditure had jumped from Rs. 19 Crores to Rs. 32 Crores. Gokhale made several suggestions in his speech. He said the percentage of children attending schools had to be quadrupled. Two thirds of the expenditure should be borne by the government and rest by the local bodies. Education should be made compulsory for boys between 6 and 10 years. Girls should be exempted on the grounds of practical considerations (?). I do not ask to see the distant scene. One step enough for me. The idea was "killed" in 1912 and resurrected again in 2005. Ideas don’t die easily, do they? Source: Gopal Krishna Gokhale by T. R. Deogirikar published by Ministry of Information and Broadcasting, Government of India, 1992. We looked at 4 types of innovations as classified by BusinessWeek in an earlier article. How has this classification evolved over the last century? To explore this question, let’s go back to 1911 when Joseph Schumpeter published his first major book on innovation titled The Theory of Economic Development. How did Schumpeter classify different types of innovations in this book? What else was interesting in this book? Let’s see these in this article. Schumpeter identifies following five types of innovations that define the entrepreneurial act (note: the bold heading is mine). Product: The introduction of a new good – that is one with which consumers are not yet familiar – or of a new quality of a good. Process: The introduction of a new method of production, that is one not yet tested by experience in the branch of manufacture concerned. Business model: The opening of a new market, that is a market into which the particular branch of manufacture of the country of question has not previously entered, whether or not this market existed before. Source of supply: The conquest of a new source of supply of raw materials of half manufactured goods, again irrespective of whether this source already exists or it has first to be created. Mergers & divestments: The carrying out of the new organization of any industry, like the creation of a monopoly position (for example through trustification) or the breaking up of a monopoly position. If we compare Schumpeter’s classification with BusinessWeek classification, we will see that the first three items are the same. The fifth one, mergers and divestment, is usually not considered an innovation now. In fact, Lafley refers to innovation as the lever for organic growth in Game changer. The fourth one “new source of supply” is for some reason not so popular today. What else is interesting in the book? One major contribution of this book is to attack the established “equilibrium” or “steady-state” view of economics. The established view assumed that there is a circular flow of goods between producers and consumers. The circular flow is like a constantly flowing river that can rise or fall slightly. But real floods or droughts do not take place, and the river can never go off its course. Schumpeter argues in the book that the circular flow is highly irregular, floods and droughts are commonplace and entrepreneurial adventures routinely cut channels into the economic landscape. He calls entrepreneur – a modern type of “captain of industry” – obsessively seeking an innovative edge. An important implication of this entrepreneurial adventure is that the “working class” of Karl Marx is no longer a “black hole” as assumed by Marx. 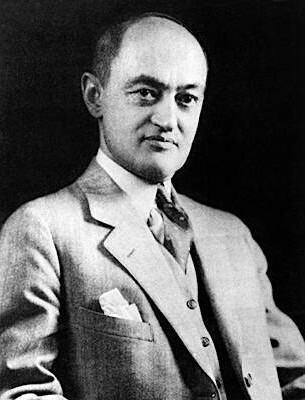 And indeed around the time Schumpeter wrote this book, a working class member was indeed crossing the chasm – It was Henry Ford who was once employed at Detroit Edison Company as a Chief Engineer had founded Ford Motor Company and launched historical Model-T in 1908 which was to make him a billionaire. Warren Buffett is famous for his non-investment in technology innovations. I wrote about it two years ago in Warren Buffett and disruptive innovation and again last year on his non-investments in two companies: Intel and Microsoft. This may give an impression that Buffett does not invest in innovations. And that is not true. In fact, at one point, Buffett invested three quarters of his portfolio in a single tiny company with less than one percept market share touting business model innovation. This investment in a company called GEICO turned out to be a jewel in the crown for Buffett over the decades. How did Buffett, averse to investing in technology innovations, fall for a business model innovation? Let’s explore it in this article. It was Fall 1950 and Buffett was 20 years old. 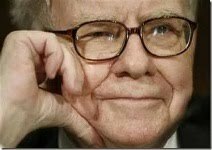 It had already been nine years since Buffett purchased his first stock at age 11 and four years since he started filing income tax return. He had come to New York City from a mid-western city of Omaha to study at Columbia, more specifically under Graham and Dodd, the authors of “The Intelligent Investor”. The book got published just a year ago in 1949 and Buffett already knew it by heart. Before Graham’s seminar, Buffett was studying everything about Graham and his method of investing. Through Moody’s manual he discovered that Graham and Newman Corporation, Graham’s fund, owned fifty five percent of an insurance company called GEICO – Government Employee Insurance Company. What was this GEICO? Buffett got curious. So on a cold wintry Saturday morning a few weeks later, he jumped on the earliest train Washington D.C. and showed up at GEICO’s door. There was no one around. Buffett asked the guard whether anyone was there who might explain GEICO’s business to him. He made sure to mention that he was a student of Ben Graham’s. Fortunately for Buffett, the guard took him upstairs to Lorimer Davidson, GEICO’s financial vice president. Davidson thought to himself, “Being a pupil of Ben’s, I would give him five minutes and think him, find a polite way of sending him on his way.” He told the guard to show Warren in. Davidson recalls, “After about ten to twelve minutes of his questions, I realized I am talking to a highly unusual young man. He was asking questions like an experienced insurance stock analyst”. Buffett recalls, “I just kept asking questions about insurance and GEICO. He didn’t go to lunch that day – he just sat there and talked to me for four hours like I was the most important person in the world. When he opened that door to me, he opened the door to the insurance world”. GEICO sought to make the auto insurance cheaper by marketing through the mail without an agent. That was a revolutionary concept at the time. To avoid risky drivers, the company decided to sell insurance to only government employees because they tended to be law-abiding. And there were a lot of them. Buffett was amazed by what he learned from Davidson. GEICO was growing so fast that he felt confident of being able to predict what it would be worth in a few years. On that basis, it was cheap. That Monday, less than forty eight hours after he arrived back in New York, Buffett dumped stocks worth three quarters of his growing portfolio and used the cash to buy 350 shares of GEICO. When he mentioned this to the most prominent brokerage firms specializing in insurance, they thought Buffett was nuts. Perhaps this is no different from Bill Gates feeling in 1991 that Microsoft is the best stock to invest. Buffett would call it – using “circle of competence” to valuate a business potential and assess “Margin of safety” in its purchase price. Question is: do you see how the idea is working today and how it will work tomorrow? (source: The Snowball by Alice Shroeder). How do you make innovation part of every day life? A suggestion related to this question from Drucker created a black market of ideas in a company. What is even more surprising is that the CEO of the company likes it that way. What was the suggestion? And what did it do? Let’s look at the story presented by Robinson and Schroeder in Ideas are free. In 1992 Martin Edelston, CEO of Boardroom Inc., invited Peter Drucker for a day of consulting. He had no specific goals in mind for the day; he simply thought Drucker might give him some interesting insights. And indeed he did. Drucker found out that most of the people he met were frustrated by the amount of time they were wasting in unproductive meetings. Drucker gave a simple suggestion. Have everyone who comes to a meeting be prepared to give and idea for making his or her work more productive or enhancing the company as a whole in some way. The authors confirmed Edelston’s claim after talking to several employees. But they were not convinced that for seven years every employee had produced two ideas per week without fail. With a little more digging fuller story emerged. 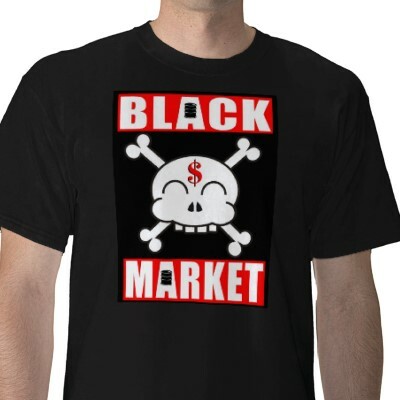 A lively black market had sprung up for ideas. A person who was short for a particular week would go to a coworker and borrow an idea, to be paid back at a later date. The authors were still not convinced. So they asked the employees whether they thought the expectation of two ideas per week was unreasonable. And not one thought the requirement unduly harsh. In fact, they appreciated the collaborative atmosphere it created and were challenged by it. Why make a big fuss about innovation? Why not just make it part of day to day affair like Boardroom? Have you witnessed old people like your parents or grandparents learning to use a new technology like the internet or mobile phone? My parents who are now in their 70s were quite reluctant to learn to use the computer until 4-5 years ago. My mother got started first. Unlike most of us, it was neither search nor email that was of interest to her. She got interested in stock trading and we got an online trading account opened for her. She didn’t have a choice but to start using the browser. The home page was set to the trading page. For my father, it happened when friends in his social circle started communicating via emails. Perhaps he felt he is losing out and then we showed him that it is not that difficult to use the email. Now both are addicted and they have moved on to other applications like reading newspaper online etc. Principle 2: Learning anxiety must be reduced rather than increasing survival anxiety. Before understanding the principles, let’s first understand the two concepts: survival anxiety and learning anxiety. According to Schein, real change does not start to happen until the individual or organization is experiencing some real threat or some real pain. For my mother, it was a realization that until she begins to operate the online trading account, she can’t get to do what she wants. This is what he calls “survival anxiety”. Now, the prospect of learning something new also produces an anxiety. This is what Schein calls "learning anxiety". It may mean we will expose our incompetence. And then we justify that the change is not that important. Learning anxiety is the basis for resistance to change. The first principle says that change can begin only when survival anxiety is more than the learning anxiety. Now, in an organizational setting it can be achieved in two ways. One, by increasing survival anxiety i.e. by saying – do this or else … and second, by reducing learning anxiety by creating a psychological safety net in the form of training, assurance that it is ok to fail and by providing as many options as one can. By now, my mother has forgotten her account password a few dozen times. But now she knows that it is a matter of sending a request and you get a new password within a few days.